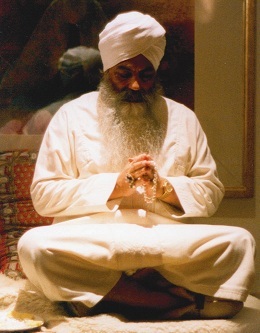 Yogi Bhajan, master of Kundalini Yoga, arrived to the United States in 1969 to share the teachings of Kundalini Yoga which had been kept secret until then. At his arrival, he made very clear his mission statement: "I have come to create Teachers, not to gather disciples". The school of Karam Kriya in Cataluña offers the KRI International Teacher Training directed by Shiv Charan Singh and with the participation of teachers of international caliber. The training will be mainly be offered in spanish with some weekends translated into english. The Teacher Training is designed to all those practitioners of Kundalini Yoga who wisth to deepen their relationship to these ancient teachings. And just as Yogi Bhajan expressed, the best way to master something in life is to teach it..
if you want to master something, teach it." Learn the most basic principles to give your life a spiritual sense, while remaining in the world, with your job and family. Begin to integrate the habits and life styles which help you keep an elevated spirit in any situation. Answer the call of your soul to fully manifest your potential and to redirect your life towards the realisation of your destiny. Develop your skills as a Kundalini Yoga Teacher and share with others the gift of the teachings. The training consists of 9 weekend sessions, and a five-day retreat in Portugal with the director of the training Shiv Charan Singh. The program is designed to gradually deepen your experience of the teachings, while giving you the chance to start practising your teaching skills from the very beginning and to mature as a teacher througout the course. Session 1: Yoga Origins, Types, Lineage and Becoming a Teacher. Session 2: Shabad, Mantra and Sadhana. Session 3: The map -- Yogic and western anatomy. Session 4: The Technology of the Times; Postures. Session 5: Mind and Meditation. Session 7: Roles and Responsabilities. Session 9: Completion and Continuity. Ashram Experience : Dates are flexible but suggested on 4-8th of Dicember. The weekend sessions will begin each day from 9am to 18:30pm, with the possibility to attend and teach sadhana from 5:30-8am both on Saturday and Sunday. You may also find a more detailed program of the Training: DETAILED PROGRAMME. The training will mainly take place in the centre at Sant Cugat del Valles, with the exception of the retreat in April with Shiv Charan Singh, which will take place in Portugal. Each weekend of the training will start at 5:30am with the Aquarian Sadhana of Kundalini Yoga. In order to facilitate the attendance and to reduce costs if you come from abroad, you may choose to spend de night under donation in the very centre where the training is done. We will provide you with a yoga mat and you need only to bring your own sleeping bag. More than 180 hours of instruction and 20 hours of practise. Text Manual and Kriyas and Meditation Manual (452 páginas). KRI fee for the Certification. Food and accommodation for the 7-day retreat during the last week of the training, in Portugal. The price does not include the White Tantra, flight to Portugal for the final retreat, nor food or lodging (if necessary) during the individual weekends of the training. Payment: 1. Full payment up front before the 30th of November of 2012. There is a 5% discount for full payment in advance. 2. Payment by deposit and installments. To register for the course, there is a non-refundable deposit of 240€ to be paid before the start of the course, followed by 9 monthly payments of 190€ to be paid at the beginning of each weekend of the training. 3. Refund Policy. There are no refunds for any payments ever made except in extenuating circumstances. Equal Opportunities Policy: While honouring a policy of non-discrimination on grounds of gender, sexual orientation, religion, age or ethnicity, the Karam Kriya School reserves the right to refuse entry to any students on grounds of general unsuitability and to refuse continuation of the course as a consequence of inappropriate or discriminatory behaviour. Attend and participate in all the sessions of the training. The maximum time allowed for the training is 2 years, which makes it possible to recuperate the lost session in a future training or a training organised by the Karam Kriya School in any other country. Satisfactory performance in teaching two classes during the training "practicums", and evaluated by a trainer. Full payment of all fees. Attendance to a minimum of 5 group sadhanas during the training. Attendance to a minimum of 20 kundalini yoga classes taught by a teacher associated to KRI. Attendance to a session of White Tantric Yoga. Read and study all material of the training (manuals), as well as at least two chapters of the book "Master's Touch" by Yogi Bhajan. Complete a personal 40-days practice. Satisfactory completion of two projects for teaching yoga "curricula". Passing grade on the KRI written exam or home exam. Agreement with the Code of Professional Standards of 3HO for Kundalini Yoga Teachers. 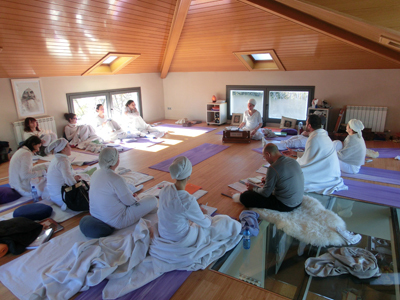 On completion of the requirements within the allowed time of 2 years from the beginning of the training, the student will obtain the KRI International Certificate for Kundalini Yoga Instructors Level 1, as taught by Yogi Bhajan. This course is approved by the Kundalini Research Institute (KRI) and qualifies the teacher to be registered as a member of the Asociación Española de Kundalni Yoga (AEKY) and the International Kundalini Yoga Teachers Association (IKYTA), which includes internet listing and other professional benefits. KRI Level 1. Foundations and Awakening -- Instructor. KRI Level 2. Transformation -- Practitioner. KRI Level 3. Realization -- Teacher. 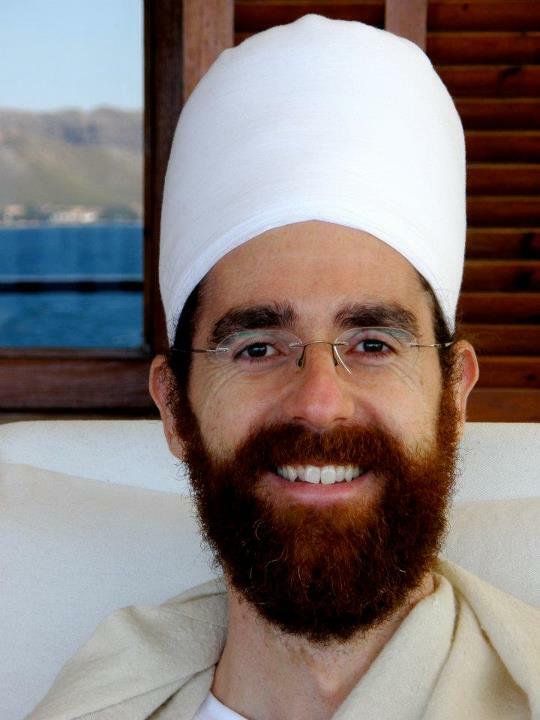 Founder and Director of the International Karam Kriya School and Quinta do Rajo (Portugal). He currently travels around the world teaching Karam Kriya and Kundalini Yoga. He has written five books on this spiritual science, including a poetry book. He sees people daily in his practice as an spiritual consultant around the world. Bachitar is an enthousiastic Kundalini Yogini who loves to bring the wisdom of the teachings into her and others' everyday life. She met Kundalini Yoga in 2003 and it resonated so strongly with her that she wanted to share this with others and decided to become a teacher very soon after. She teaches since 2004 and is training teachers since 2008. Meeting Shiv Charan Singh and the Numbers in the Court of Karam Kriya in 2005 added tremendous depth to her understanding of the yogic teachings and life in general. Under his guidance she trained as a Karam Kriya Consultant and Trainer. She teaches workshops based on Kundalini Yoga and Karam Kriya on Conscious Parenting, on Pregnancy and on the Spiritual Journey of Women. 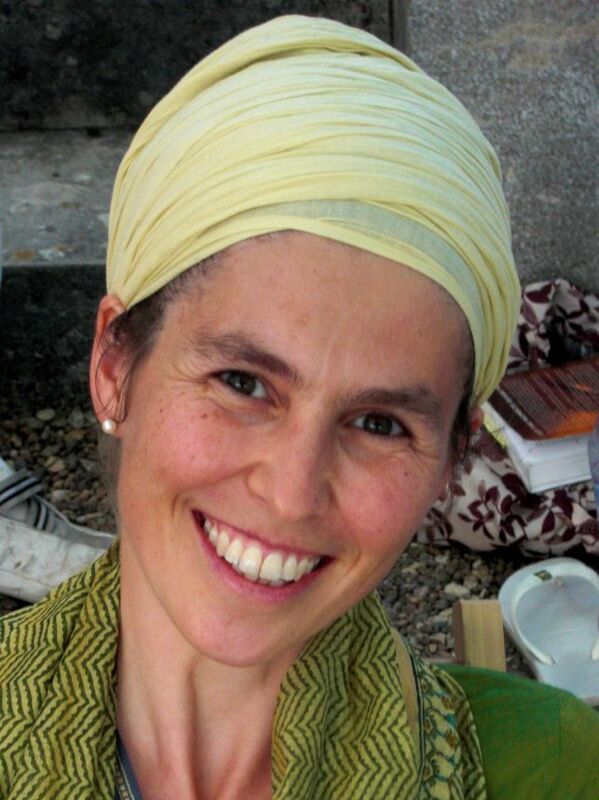 She is co-founder of Cherdi Kala Yoga Interational and teaches throughout Europe. Having lived in England and the Netherlands she recently moved back to South Germany together with her husband Hari Krishan Singh and their two sons (4 and 1.5 years). 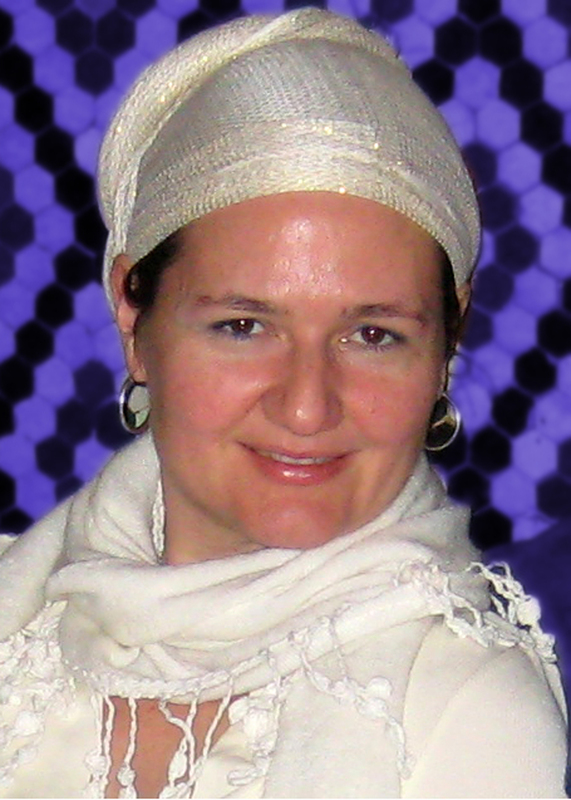 She is a Karam Kriya teacher and Consultant, Kundalini Yoga teacher and teacher trainer, Sat Nam Rasayan Healer. She began studying Yoga and Personal Growth at the age of 12 and returned several years later in London, where she was trained as an Kundalini Yoga instructor and Karam Kriya Consultant. She left her profession as a Creative advertising and in the last 10 years has been entirely dedicated to impart these teachings. She organizes special events such as retreats and women's circles, spiritual journeys to the desert and kirtans, chanting mantras with the harmonium. Her biggest inspiration and gratitude is to her spiritual master, Shiv Charan Singh and Wahe Guru. She has traveled throughout Europe and North India to receive teachings and taught in courses and workshops internationally. Ardaas Singh began his career as a musician, university teacher and researcher. Although he holds a PhD in Engineering, his life is now fully dedicated to the spiritual teachings: he is a full-time Karam Kriya consultant, Kundalini Yoga teacher, Sat Nam Rasayan healer and Mantra Yogi. He began his studies in Yoga in Scotland and he trained as a Kundalini Yoga Instructor in the Hacienda de Guru Ram Das in New Mexico, United States. He studied Mantra Yoga in France and India under the instruction of Muz Murray, and travelled throughout Europe receiving the teachings of his Spiritual Teacher Shiv Charan Singh. Nam Hari Kaur was born in Leon. She studies and practices the teachings of Yogui Bhajan. She has been trained in Kundalini Yoga Levels I and II, Sat Nam Rasayan, in Kundalini Yoga for Women through the Joti Sarovar specialization and belongs to Karam Kriya School which she is actually in training. She is working as a teacher of Nursing at Valencia. She has created in Leon created NAM Association where Kundalini Yoga is taught and Teacher Training Level I and also working with groups at risk of social exclusion. Kundalini Yoga Teacher trainer and Karam Kriya Consultant. 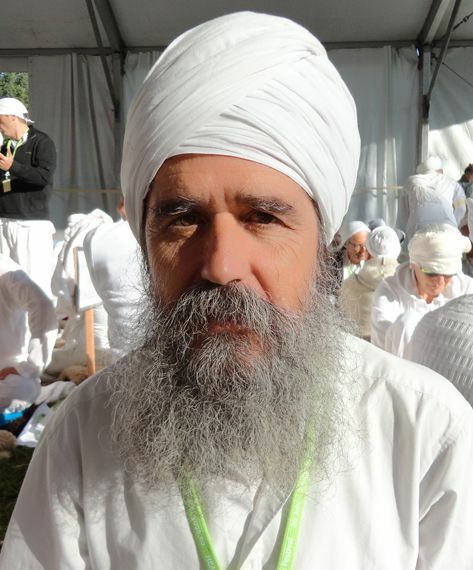 President and founder of the Association for the practice of Kundalini Yoga Gobindghat. 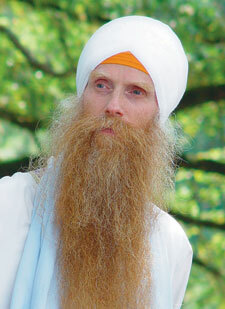 He has 15 years of experience in the teaching of Kundalini Yoga. Self-taught student of Jungian Psychoanalysis and of Karam Kriya. As a remarkable experience he has succesfully completes the "21-day process" to awaken the Pranic Body, as taught by Jasmuheen. You may apply for the training by email completing the following form and sending it back to ardaas@karamkriya.es. For more information about the training please contact Ardaas Singh or Seva Kaur. More contact details are in the page About us.